Flicx UK were delighted to attend and support the #Wicketz festival hosted by Lord’s Taveners at Repton School last week. ” The 2G Flicx Pitches allow Wicketz to create more game spaces. 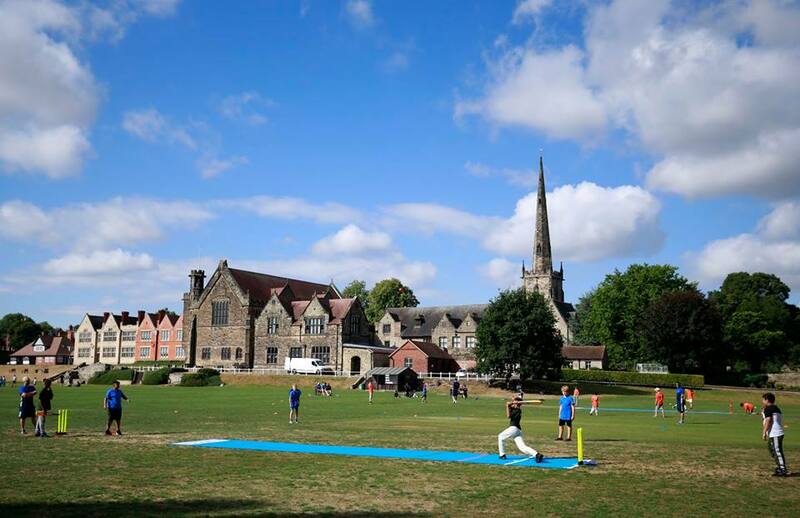 We have divided each pitch into two batting ends and we have been playing soft ball cricket on the outfield here at Repton and the kids absolutely love it. The blue pitches been a great addition to our project as the towns and cities that we work in typically have limited green spaces so these portable pitches enable us to take cricket, in a more traditional format, into lots of different types of areas.